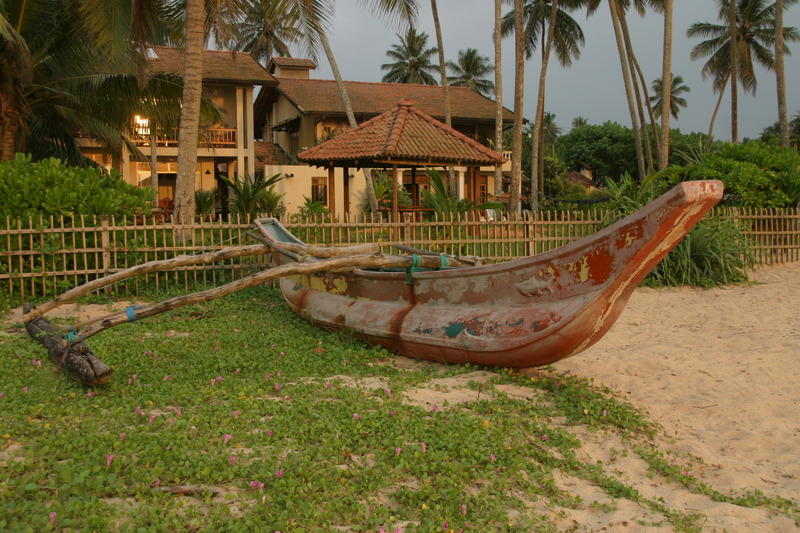 A select boutique hotel positioned perfectly on a sweeping sandy beach shared only with the village fishermen. A home away from home but without the worries of daily chores, a place where your every need is taken care of by a friendly and caring staff. Max Wadiya offers peace and tranquility, the opportunity to rediscover sanity and serenity and th recharge the batteries with solar energy. Max Wadiya is situated in the fishing town of Ambalangoda, about 2 klms south after the train station in the town centre on the Galle Road. There is a central bus and train station in Ambalangoda town and Max Wadiya can be reached by rail and bus from most parts of the country. By car it is about 85 kilometres from the capital, Colombo, and about a 2-hour journey south. The fortress town of Galle is about a 40 minute ride further south. Max Wadiya offers full board consisting of a wide range of Sri Lankan, Western and Asian cuisines.